President of the International Draughts Federation Vladimir Langin congratulated the President Republic of Tatarstan Rustam Minnikhanov with the triumph of the Republic draughts players at the World Cup 2016. December 19th international grandmaster Dmitry Tsinman, who won the World Cup 2016 in two programs – classical and Blitz, arrived in Kazan. 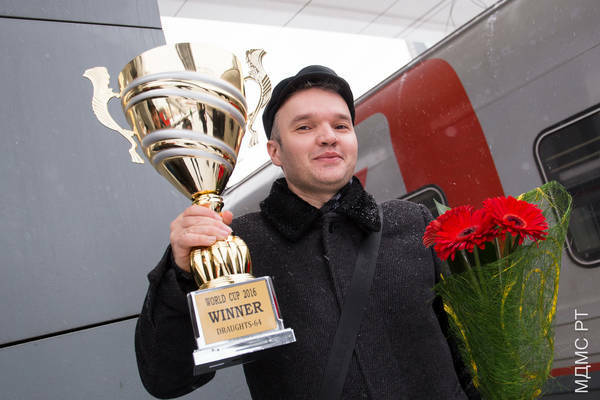 Absolute winner of the competitions met the representatives of the Ministry of Youth and Sport of the Republic of Tatarstan, heads TSSDYUSHSHOR name R.G.Nezhmetdinov, as well as media representatives.